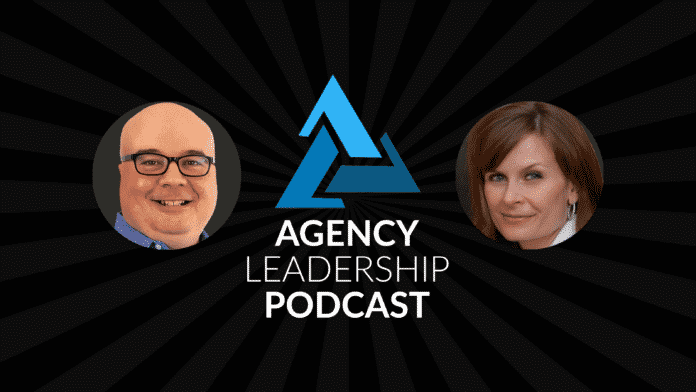 In this week’s Agency Leadership Podcast, Chip Griffin and Gini Dietrich discuss the importance of creating and managing budgets for agency client projects, including both retainer and one-time work. The discussion was prompted by a tweet by Karl Sakas that urged agency leaders to include project management costs in their budgets. Be sure to add 20-35% to your project budgets to cover project management (PM) time, including a few unplanned client meetings. This topic is something that Chip as written about previously on the Agency Leadership Hub, including why project budgets are important and how to create an accurate client project budget. Chip and Gini discuss how projects serve as building blocks for overall agency profitability, the challenges in properly tracking project costs, and items that can be easily overlooked when building those budgets. They also have a robust discussion about how to bill for some of the less glamorous aspects of agency work to better maintain the relationship. 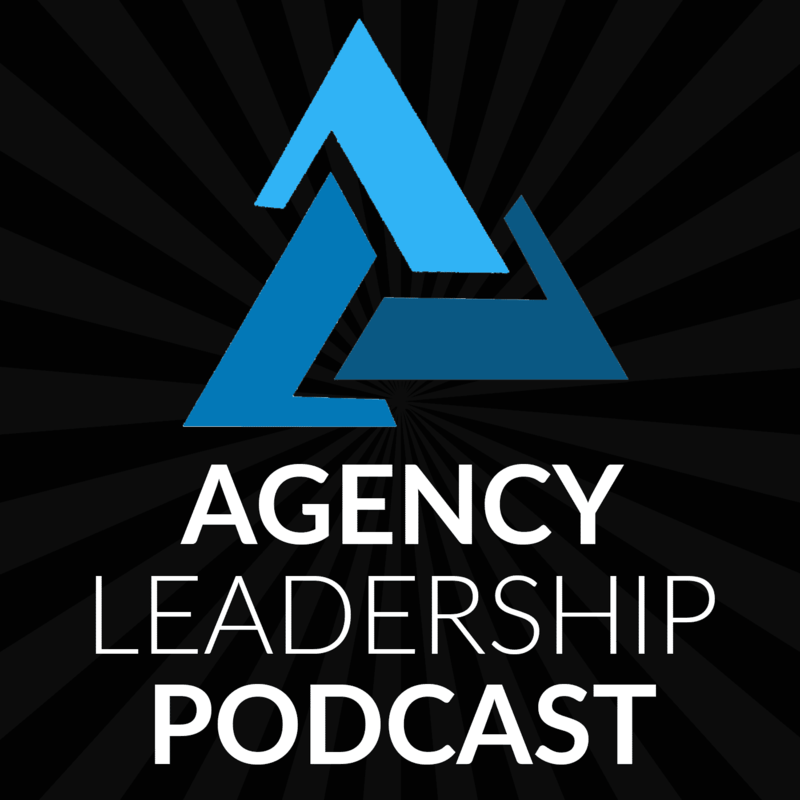 CHIP: Hello and welcome to the latest episode of the Agency Leadership podcast. I’m Chip Griffin. GINI: And I am Gini Dietrich. CHIP: And we are here today to talk about the importance of projecting project costs. GINI: Very exciting topic for creative types who always say, I went into advertising, pr, marketing, whatever, because I’m not good at numbers. CHIP: I find that it is everybody’s favorite topic. And so that’s why I decided to try to work “project” in, back to back project and projecting. Yeah. Uh, and, you know, and we will project our voices as well. So we’ll see how much we can abuse that term over the course of the next 28 minutes or so. But it is critically important because when you, when you think about your agency’s overall success, it breaks down on a project basis, right? Whether that is a recurring project, i.e. retainer or one time project, it’s still something where if you’re not making profits out of all of the little pieces, then you’re certainly not going to be making a profit as a whole. So trying to think about the financial aspects of each of your engagements is absolutely correct. GINI: You wrote a blog post on the Agency Leadership site that I thought, well you have two actually, but the one that I’m going to speak to first is, you talk about, okay, let’s say that you’re projecting a project. There you go, at $150 an hour for 20 hours. Well let’s say then you end up spending 25 hours your, so you’re overservicing number one, but number two, your hourly rate just went from $150 to, what? Eighty something dollars an hour. So you have to think about it from that perspective and from the perspective of all the hidden costs of things that you do to help clients. Media monitoring, you know, email marketing, software, any kind of software, travel and expenses, any time that you have to outsource or use a freelancer for things, research, entertaining, events, you know, all that kind of stuff. It’s really hard to project some of that. There are some things you can do to get around it, but I think it’s really important to think through all of the things that you might take on for a client throughout a project or a retainer that you end up paying for that you wouldn’t have unless you were doing this work for a client and so yeah, they should. It should be included as part of your fee. CHIP: as an employee, as an owner, as a consultant over the years, that’s where they tend to get caught up the most. Because if you’re on the front lines, if you’re dealing with the client everyday, your natural instinct is to make them happy, right? Because you don’t want a client yelling at you on the phone. That’s just no fun. And so what you do is you go out there and if the client says jump, you ask how high because you want them to be happy and so you will end up overservicing the client if you’re not careful and if your agency is not properly tracking time and all that, you can get into deep trouble. And that’s where my particular example of even just one hour a week on a project where you’re budgeting 20-25 hours a month. That adds up very quickly and can be a giant reduction in your profitability and nobody’s really even thinking about it. GINI: No, Ken Jacobs gave a pretty good presentation at Counselors Academy a few years ago where he talked about this phenomenon and he said, okay, well, I mean, to your point, let’s say that you’re doing that, but you overservice 10 hours every month. Well guess what? You just worked for free for the last two or three months of the year. Completely for free. That’s not okay. CHIP: It’s not okay at all. And you know, one of the things you have to be careful of as an agency leader is the fact that your frontline employees, even if you’ve got a time tracking system in place, they may fudge. Right. And I can say this because when I was a, a very young junior account executive many moons ago, the team that I was working on, even though I was not leading that team, we knew we had a certain budget for our biggest client every month. There was a certain number of hours that we were allowed to spend and we could not go over it. But we knew that we couldn’t get all the work done that we were being asked to do in that time. So all of a sudden we started putting some of our time over to administrative overhead. There was an account code for that or, new business, and I mean I still to this day, I remember the code, 647 was administrative, 925 was new business. CHIP: I don’t know why I remember these things, but you know, because back then you know, you had to put a code in every time you dialed the phone, you had to put a code into the copy machine. You know, this was, for all the young pups who are listening to us, these are things that you don’t have to deal with so much today, but they were very common 25, 30 years ago. And so you need to be aware that your juniors may be fudging those numbers because they want to keep the client happy. So, you know, it’s not that you want to distrust your employees, but you have to, you know, to sort of have a reality check and if it looks like, jeez, they’re always working on this client, but their time sheets don’t show it, you know, have that conversation because if they understand the importance of profitability to the agency and the importance of managing costs, my experience is they will generally be pretty receptive. But most junior folks just don’t know what P&L even stands for, let alone, you know, how it’s calculated or something like that. So you need to educate your team on these things. GINI: RIght. So I think there’s two things at play here. One is, is educating yourself so that you can educate your team and what all goes into projecting a budget and I think the first piece of it is, you know, how, how do you educate your junior staff? Because I mean, I worked at Fleishman Hillard and we would have, we had new business meetings where they taught us this is how you network. And they taught you that, but it didn’t really sink in, I think both new business and new business is a separate topic, but both new business and sort of budgeting didn’t really sink in until much later where it was like, oh, and truthfully what made it hit for my peers and I, when we were probably mid to late twenties was using the paycheck analogy and the tax analogy, so taxes and a paycheck and, and once they did that, instead of saying well you know, you’re working for free for three months or that works at the owner level because of course at the owner level you don’t want your team to be working for free for three months because you have to pay them regardless. CHIP: RIght, it is, and you know, in order to properly educate your team, you do need to have some level of transparency on the project costs. That does get tricky when it comes to staff costs. So you sort of, you know, you may do more accurate reporting up at a senior level. At the junior level, you may have to use rougher numbers, so that you don’t start causing too much angst, but you’re absolutely right, you know, people will sit there and say, well, Geez, you know, I don’t get anywhere near $86 an hour. I should be getting that. But if you educate them properly and you talk about, you know, all of the things that go into the budgeting and the costs and the overhead and helping them to understand, first of all, frankly, a lot of those up-and-comers in that, you know, their late twenties, they want to learn more because they’re actually interested in career growth and things like that. So I think most owners underestimate the desire of a lot of their team members to learn more and so they say, look, this is going to bore them. They’re not going to be interested in this. Let me just let me spoonfeed them. They may actually, you may find out that they really do want to learn and will eat this stuff up like a sponge if you’re willing to spend the time with them. And frankly it’s time well spent. GINI: It is time well spent. It’s pretty easy, I think if you just say, okay, let’s take a dollar and what we’re trying to achieve, let’s say we’re trying to achieve 50 percent profitability, EBITDA. So fifty cents of that dollar has to come out because that’s after taxes, everything. We’re going to keep fifty cents into the business and in a minute I’ll explain to you what that fifty cents is going to do for the investment in the business. The other fifty cents now has to be split between: software, general and admin, vendors, internal tools, events, printing. Like you start to break it down from that perspective and you say, okay, three cents goes to this ten cents because of this, and they start to understand where that fifty cents goes and how it applies and so you, you do it from that perspective and then you can talk to the fifty cents that you’re investing back into the business, you know, computers, phones, lunches, whatever you pay for raises, benefits, bonuses, all that kind of stuff. And that’s how that 50 cents is split up that way too. And of course not everybody has 50 percent profit, so it’s 35 or 10 or 15 or whatever, or your profitability is. But then they start to really understand it. CHIP: Hopefully not 10 or 15 because you’re not gonna be around very long. CHIP: Yes, fully loaded. I guess you’re factoring in the full overhead costs there. I guess I tend to look at the initial margin on the project, the project specific costs. But yes. GINI: Yeah. So I think when you make it that simple, they start to understand versus well gosh, we’re only making $86 an hour versus $150 an hour. That’s a little harder for them to comprehend. CHIP: Absolutely. And then all of this of course flows from, as you said, figuring out, okay, what are all these costs? What are we spending on software, what are we spending on freelancers? So it’s not just the labor time, which tends to be the lion’s share for most agencies, but not all – kind of depends on what kind of projects you’re doing – and you need to sort of think through those things because you know, a lot of times there are are sort of hidden costs that you’re not thinking about when you’re putting together your budgets and therefore putting together your pricing. And the reason why we came up with this topic for the show was because of a tweet from Karl Sakas where he tweeted that you needed to be thinking about adding in, I think he said 20 to 25 percent or, or something like that for, you know, project management and unexpected client meetings, those sorts of things. CHIP: And you know, the numbers I think will vary, right? Because it depends on your particular business model, those projects and all that. But you need to make sure that you’re building in things that you’re probably not thinking about today. Things like travel, right? A lot of folks, particularly as more agencies are located outside of major urban centers, they may have travel costs to go see clients, you know, whether that’s driving, flying, training, whatever. And those can add up quite quickly. And so, you know, if you know that you’re going to have a quarterly meeting with your client and they’re on the other side of the country, well then you need to make sure that you’re building that cost into your budget because it’s not just magic costs that go away and you can’t just write it off as overhead. It’s specific to that client. CHIP: If that client went away, you wouldn’t spend it. So make sure it’s part of that client budget. And if you start thinking about, okay, what are all of the things I’m doing, you know, am I, when I go on that meeting, am I going to take the client out to a really nice dinner? Which is again, very common, particularly if you’re traveling and you’ll want to take the client out, well, budget that in because you know, if you’re, if you’re making a cross country trip with a couple of people and you’re having some nice meals and you’re staying overnight, now you’re talking thousands of dollars. And that can make a material difference depending on the size of your project. So if you’re not putting it in and if you’re not building in cushions and things like that for those unexpected meetings or whatever, you’re going to be caught unawares and, and it could really eat into your profit margin down the road. GINI: So there’s two ways that I’ve seen this handled and I’ve worked for two different agencies. At Fleishman it was handled that it was always just billed back. So your time for travel was included in the budget/retainer, but any, any hard costs, any expense – so software, Bacon’s at that time, Cision, you know, all of that, travel, all of that was billed at cost. So you would submit an expense report. So you didn’t have to include that in your budget, but it was on top of and you had to have it approved. But then the second agency I worked for before I started my own was very much a, hey, we’re not going to bill back client dinners and things like that. So they did work that into the budgets. So it’s just, it depends on your philosophy and how you want to approach things. CHIP: Yeah. And I would argue that even if you’re billing it back to the client, it should still be part of the budget because you know, at some point, you’re probably going to have a conversation with the client and you know, they may say, so what are we anticipating for expenses on top of the fees, right? So, you want to make sure that you’re putting it down even if you’re going to ultimately bill it back. And, and my experience is you with the exception of all but the biggest agencies, most folks don’t bill back every penny, right? So they often will eat some of the costs. Not always, but you know, so you need to try to figure out, okay, are you really going to build them for everything or not? And so make sure that you’re allocating it appropriately because you know, these are the kinds of things that if you’re not thinking about, you know, they really can change the trajectory of your agency. CHIP: And ultimately I think we all want to succeed. So we want to have the best information at our hands to make proper decisions about resource allocation and pricing. Pricing in particular, right? Because if you, if you don’t know what a project’s gonna cost, how can you price it effectively, right? Because that’s ultimately all of these budget conversations that we’re talking about. It’s designed to drive proper pricing because pricing sort of sometimes feels like it’s made up out of thin air and well, frankly, sometimes it is actually made up out of thin air. CHIP: But the more that you can understand what your actual costs are, the better that thin air has at least some method to his madness and you’ll have some sense. And if you’re not, if you’re just going to make up the price, then at least you can reverse engineer it and figure out, okay, this is what I need to keep my costs to. And try to figure out, how do you reshape your project budget to fit within whatever that magic price is that you decided the client would be able to stomach. GINI: And not just the project budget, but to your point earlier, the scope of work, because if they’re expecting that you’re going to do X, Y, and Z for the project, for the budget, and your team’s going to end up fudging so that they can do all that really, they can only do x and y. you’re going to have to revise the scope of work as well. CHIP: Right. And I think, I think Karl’s point about project management is something important to think about here too, because a lot of times agencies will underestimate the amount of project management that’s involved. Whether that’s how much time seniors are putting in with the juniors to work with them on it or how much time is spent on internal meetings, particularly as you get to larger projects and larger agencies. And all of a sudden, you’re, and I’m sure you’ve been in the same place where I have where you just happen to be walking by a conference room and someone says, Oh, you know, come in. We could get your input on this meeting. And so all of a sudden you’re really jacking up your costs. And that’s, that’s something that as your agency gets larger you need to be very thoughtful about, because it’s so easy just to say, okay, yeah, let’s, let’s have, you know, Joe and Sam and Kelly all come into the room here and you know, you’re not thinking about the fact that Geez, you know, now we’ve spent an extra thousand bucks because, we put three senior people in the room that maybe didn’t really need to be there. CHIP: And so you want to make sure that as you’re putting together projects, you know, that whether it’s assigning a fudge factor percentage or, it’s by guesstimating, you know, okay, well, if we pull in, five seniors, 20 times over the course of the year for an hour each, it’s going to be roughly… however it is that you come to that math, you want to make sure that you’re accounting for all of those internal conversations that are taking place because that’s an area where you can easily get caught unawares. GINI: It is. And unfortunately, we are still in a business where we sell time. So you’re going to be, I mean, it’s going to be, part of it has to be part of your budget. It has to be. CHIP: Right. And I’ve seen places that, some agencies will actually, you know, they’ll sell the client a bucket of hours and they will include internal meetings in that. And you know, that is one approach. I will say that the challenge of that approach is that tends to antagonize the client. Just straight up, you know, it’s an accurate way of doing it. But, but accuracy is not always the best way to work with clients because, you know, if you sit there and you say, okay, you know, I know we did 20 hours of quote unquote real work for you. But we also did five hours of internal meetings just to sort of figure out the roadmap and the timelines and you know, to sort this out. You know, most clients aren’t going to react super-favorably to that. So if you’ve got a large enough engagement that you can bury those hours, that’s fine. If you’re on a smaller engagement and it is five out of 25, my suggestion to you just up your hourly rate and then eat that cost so that it’s not seen by the client. Telling the client that project management is important and you bill them for it… I get it and it’s a decent message to send, but probably not one that helps the overall relationship over time. GINI: Right? Because yeah, I mean a great example of that is I sent my attorney an email, he opened the email, he responded to it. That was the end of it, and I got a bill for $964. There was no phone call. There was no him reviewing anything. It was him responding to one email that was three sentences long and I flipped. So you also have to think about it from your – flipped! – you have to think about it from your perspective too. If you’re working with a freelancer or a consultant and they’re saying, I’m going to charge you five hours a month for internal meetings or project management, you don’t feel too good about that either, so you’re exactly right. Figure out how to make it work so that it’s profitable for you, but also keeps the client happy. CHIP: Exactly. I mean at the end of the day, your invoice, whether it’s a fixed project fee or whatever, however you’re describing things to your client, that’s part of your client communications. And so you need to think about how it’s being received, not just how it’s being delivered and so that oftentimes means be careful about some of these nickel and dime looking expenses. Again, going back to the olden days, it used to be common practice for agencies to charge their clients per page of faxes. Okay. Yes, yes, there was a cost involved in sending faxes because you know as you millennials don’t know, we used to pay by the minute for the long distance calls it would cost so that’s why there are these things called toll free numbers, because long distance calls actually used to cost real money. CHIP: Now it’s just part of your unlimited minutes that you get on your cell phone. But. So yes, there was a cost, but it was typical for agencies to charge like a dollar a page for faxes that they sent through. I can tell you that page did not cost anywhere near a dollar to send and it would oftentimes as the recipient of that bill at the end of the month, you know, you were charged $300 for faxes. Gosh, really? It just, it feels nickel and diming and so you know, as you’re thinking about how you bill your clients, how you describe your costs, how you manage your costs, think about how it’s perceived by the client because you know you, you may be being penny wise, pound foolish. You may be able to recoup your cost for certain activities better, but you may also be antagonizing the client unnecessarily. CHIP: So try to find other ways to, to cover those expenses typically by raising your effective hourly rate, rather than going and sending them some outrageous bill for project management or faxes or phone calls. GINI: Or reading an email. CHIP: Right, right. Or there was a PR agency that did work for many, many years ago and they used to send me bills for like $5 Mcdonald’s lunches that they would have as part of a travel. Like, seriously? I mean, I get it, you know, where were you coming to see me and so you had to stop. Yes. So technically it’s part of the retainer agreement that we were covering your travel expenses but, but really you couldn’t just buy your big Mac by yourself? And frankly in the past I’ve had employees who have expensed cups of coffee. Again, I get that you’re in the airport and you got stuck there, but you know, expensing a cup of coffee? CHIP: I’m going to cover it because I’m not a cheap SOB, but it’s really not sending the right message because you were probably going to have that cup of coffee no matter where you were. GINI: You were going to have that regardless. CHIP: That’s always been my test with expenses and things like that. You know, if I was going to spend the money anyway, I’m not going to expense it. If I had to incur that expense unnecessarily, then yeah, okay, that should go on the expense report. But in any event, the key of all of this is really just to make sure that you as an agency owner, as a leader, that you’re thinking about these expenses and that you’re working with your team to help them understand the importance of it because ultimately that’s how you control costs and if you control costs, what do you do? You make a profit and we like profits. GINI: I like profits. I like to make money. I like money a lot. CHIP: In fact, I don’t know any agency owner who doesn’t like prophets, some more than others. Generally speaking, the ones who say they don’t like profits, it’s because they haven’t figured out how to make them yet. GINI: Well, I thought your blog post that you published last week was really, really valuable and we should definitely link to it, but I’m just gonna roll through it really quickly what you included. So staff costs, outsourcing and freelancing. Freelancers, media monitoring, media analysis and PR measurement, media databases and PR distribution, primary research, travel – and not just hotel and flight, but all the other miscellaneous things. Client entertaining, printing, events, internal tools and software, management of social advertising, other vendors and expenses, and then a percentage or share of general and administrative expenses and then you bring it all together. So I thought this was really well outlined and drawn out with examples on how agency leaders can use this. CHIP: Just to build upon that, I think everything up until the share of G&A, those are the things you need to hold your actual project managers accountable for. So you need to put together the budget and you need to say, okay, here it is and if they’re going to go outside the bounds of whatever the agreed budget is, they need to be able to explain and probably get approvals depending on what level they’re at and who has budget authority, but they need to be able to explain, you know, why it is that they had to go outside of it. The G&A piece, you know, it’s very difficult to have a, you know, a junior or mid level manager be responsible for those per se. So they need to be included in the budget so that you have them for pricing purposes. CHIP: But if those fluctuate over the course of the year, that’s probably not the individual project manager’s fault. That’s probably at the executive level and you need address it there yet. But the, all of those project expenses, you really need to hold those teams accountable for. Because that’s the only way that you’re going to be able to truly control costs. Because if they feel like they just have a blank check, they’ll spend like they have a blank check. Sort of like kids do, you know? And, as the parent of teenagers, I can tell you, they seem to think that money just grows on trees. CHIP: That’s not good, but money does not grow on trees and neither do clients. So keep the clients happy, keep them profitable and your agency will thrive. I guess that’s my closing message. Do you have a closing message, Gini? GINI: I agree with you for a change. CHIP: You know, it turns out we actually agree more than we disagree, you know, we’ll have to find a show where we just go head to head and have a violent disagreement about something. Not with real violence, of course, made more difficult by the fact that we’re hundreds of miles separated. 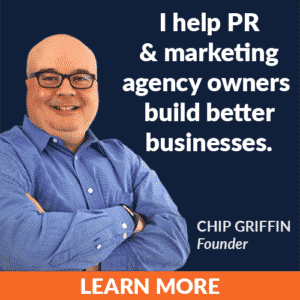 But in any case, on that note that will bring to an end this episode of the agency leadership podcast, I’m Chip Griffin. GINI: And I’m Gini Dietrich.